Martha Sheridan is president and CEO of the Providence Warwick Convention & Visitors Bureau (PWCVB). In her role she leads an organization whose mission is to create vibrant growth for the local hospitality economy by promoting, developing, and expanding a united visitor industry. She oversees all day-to-day operations at the PWCVB, leading a staff of dedicated destination sales and marketing professionals. Sheridan has nearly 20 years of experience in destination marketing. Prior to her current position she served as Vice President of Sales at the Newport County Convention & Visitors Bureau. In taking her role as president and CEO of the PWCVB in 2006, Sheridan marked her return to the organization, as she spent much of the 1990s at the PWCVB in a variety of roles. 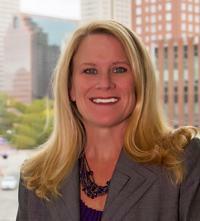 Sheridan has served as Chairman of the Destination Marketing Association International, the parent organization of destination marketing organizations throughout North America, and is on the board of the U.S. Travel Association. She has held a variety of other leadership roles, including a two-year term as president of the New England Society of Convention and Visitors Bureaus. Sheridan is the recipient of the Rhode Island Hospitality Association’s Mary Brennan Tourism Award for outstanding achievement in tourism promotion, the MPINE President’s Award and the MPINE Supplier of the Year Award. 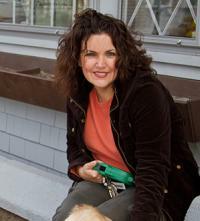 She is a graduate of the University of Rhode Island and lives in Wakefield with her husband, Arthur and three children. 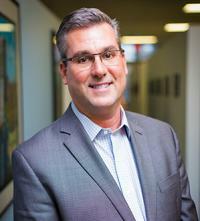 As Vice President of Sales and Services, Tom Riel is responsible for leading the PWCVB sales team in an effort to promote and sell the destination to meetings, conventions, trade shows and leisure travel. The role marks a homecoming of sorts for Riel, as he previously worked for the Bureau in the capacity of National Sales Manager from 2003 - 2006. Prior to his return, Riel held the position of Senior Account Executive within Marriott International&apos;s Global Sales Organization. Prior to that, he was the Director of Sales and Marketing at the Renaissance Providence Hotel and previously held senior sales roles at Starwood Hotels & Resorts, Marriott&apos;s Colorado Market Sales Team, the Vail Marriott Mountain Resort and the Atlanta Marriott Marquis. Riel is the recipient of the Marriott International Chairman&apos;s Circle Award (2011), the Marriott International President&apos;s Circle Award (2012) and Marriott&apos;s North American Sales Team of the Year Award (2013). With 24 years of hospitality sales experience, Riel has held various board and committee positions with the Colorado Society of Association Executives, PCMA and SGMP. He also served as sales task force at various hotels in his tenure. He is also a licensed Realtor. As the Vice President of Marketing and Communications, Kristen Adamo serves as the primary architect for the PWCVB’s marketing and communications strategy, which includes advertising, public relations, collateral production, website management and social media. During her tenure, the PWCVB has launched such successful marketing initiatives as Providence Restaurant Weeks, has seen Providence named “America’s Favorite City” in Travel + Leisure magazine, and won an Outstanding Sports Marketing award from the National Association of Sports Commissions. Prior to joining the PWCVB, Adamo served as Manager of Public Relations at Advertising Ventures, a full service ad agency. Adamo has also been the Director of Advancement Marketing and Communications at Johnson & Wales University, where she received national awards for her work with corporations such as SYSCO, Coors Brewing Company and Marriott International to promote major gifts to the University and other partnerships. Adamo has been named to Providence Business News’ “40 Under 40” list of Rhode Island’s most successful young business people and was named Hospitality Ambassador of the year by the RI Hospitality Association in 2014. She is an accredited public relations practitioner and a former president of the Southeastern New England Chapter of the Public Relations Society of America. Adamo currently serves on the boards of the Roger Williams Park Zoo, Rhode Island Film Festival, and StyleWeek Northeast. Click to view the PWCVB 2018 Board of Directors.